Home/Blog, Embroidery, shopping, supplies/These are a few of my favorite [embroidery] things! These are a few of my favorite [embroidery] things! Let’s have a little AMAZON SHOPPING REVIEW! I wanted to do a blog post that I can share when someone asks me any questions about the products that I use in my studio. I’m very loyal to the brands that I use in my work – which is every day! And most of these products, I purchase on Amazon. To be honest, I only use three rolls of stabilizer regularly – a medium weight cutaway, a medium weight tearaway, and a water-soluble “topper” stabilizer. 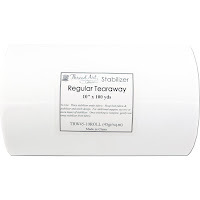 I do have other rolls of stabilizer that i use on occasion, or that I purchased and haven’t used much since. 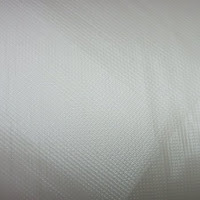 I do not regularly use fusible polymesh, although that is popular amongst embroiderers. When it comes to stabilizer on Amazon, there are some great choices available, and if you’re an Amazon Prime member, two-day shipping is free on many of them! I go right to my top tearaway for this type of project. This is ThreadArt tearaway and comes in a 10″-wide, 100-yard long roll. YES, you heard me – 100 YARDS! Using strips of this for snap tabs and felties, it can last months! The next staple is a medium weight cutaway, which you can use for afore-mentioned ITH projects, and always use on items that you’ll wear like t-shirts. You can’t go wrong with World Weidner’s 8″ by 20-yard roll of cutaway. * One word of advice: in my experience, World Weidner’s products don’t come with any kind of instructions. So for something like cutaway, that’s fine. But if you are buying a new stabilizer, I would definitely look up the instructions first before buying a large roll that comes with no information. 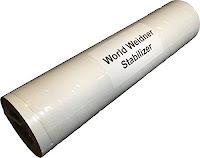 Going along with the theme of buying large rolls, check out World Weidner’s water-soluble “topper” stabilizer. This one is also 8″ by 20 yards. Water-soluble stabilizer is used on fabric with a pile – like terry cloth, where you need to “mash” down the fabric to embroider to get a nice smooth finish. Some people use it on everything; I find that a colossal waste of money. Let’s talk about snaps. If you’re making snap tabs, you need a basic set of snaps – the pliers, an awl, and a starter set of snaps. 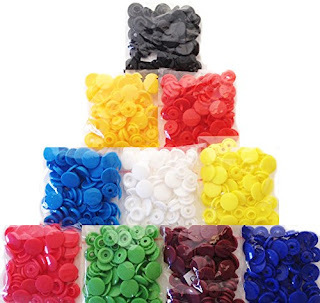 Plastic snaps come in a variety of sizes; size 20 is the most commonly used for snap tabs and many other things. A popular brand of snaps to purchase online is KAM snaps. You can get a great starter kit – with everything I mentioned above – on Amazon using your Prime shipping! 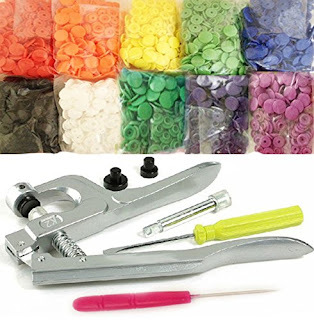 If you already have the pliers and awl, consider stocking up on a good variety of colors for your snaps with a rainbow snap set. This set is eight bucks shipped Prime! After embroidery machine and stabilizer, scissors may very well be an embroiderer’s BEST friend. You can’t do quality work without quality scissors. With that, I present to you my FAVORITE full-size pair of scissors: Kai brand 8-inch Dressmaking Shears. I actually received my pair of Kai scissors in the kit of a sewing class I took in Nashville, and I didn’t understand how awesome they were until I started to “collect” scissors as a crafter and realized.. “Wow, these are really different from other scissors.” These cut like a knife through soft butter. And the best part is, they’re not ridiculously priced! You can get them for around $20 all day. 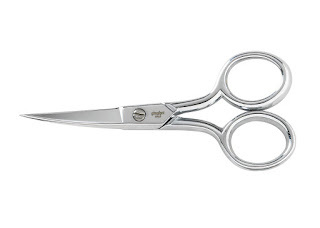 The other set of scissors I can’t live without is a pair of curved-tip Ginghers. Now, everyone has their own favorite choice for scissors to use while doing applique; these are mine. They are 4″ long and are also around $20.